The Flexible Fiberscopes are very convenient in any category of inspection. The 4-way tip articulation allows inspections in tight and remote areas. The device rotates in a full 360 degree circle and provides the best angle of view in all inspections procedures. 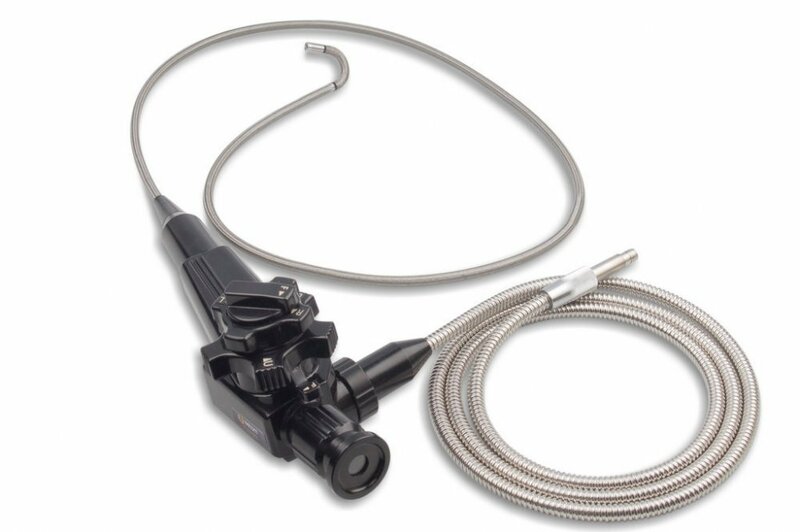 The the tip of the fiberscope can be locked in a desired position if you need to capture a image or video. Probes are protected by a stainless steel braided sheath which are water, oil, and gasoline proof. The universal eyepiece connects easily to c-mount video cameras using a focusable eyepiece coupler. The device can be connected to any existing light sources and allows compatibility with existing equipment. The universal eyepiece connects easily to c-mount video cameras using a focusable eyepiece coupler. The sharpness of the image can also be adjustable using the focal ring on the fiberscope.